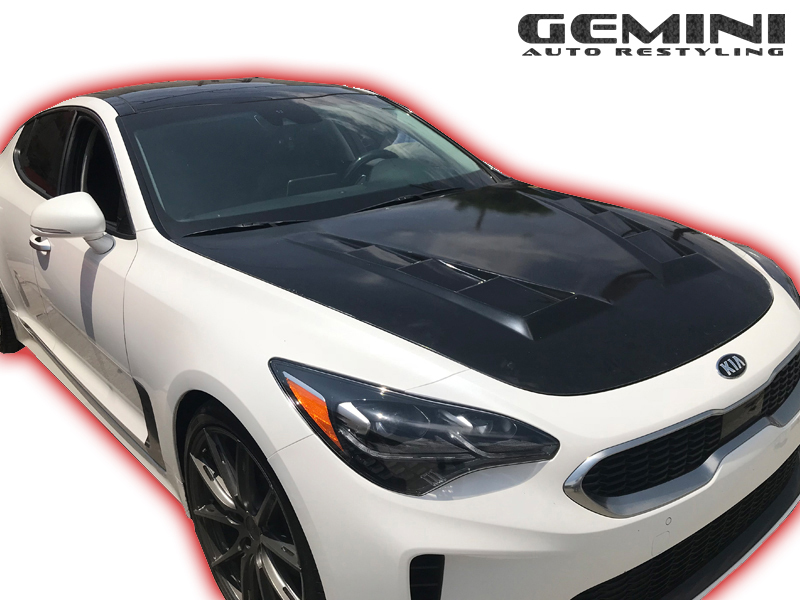 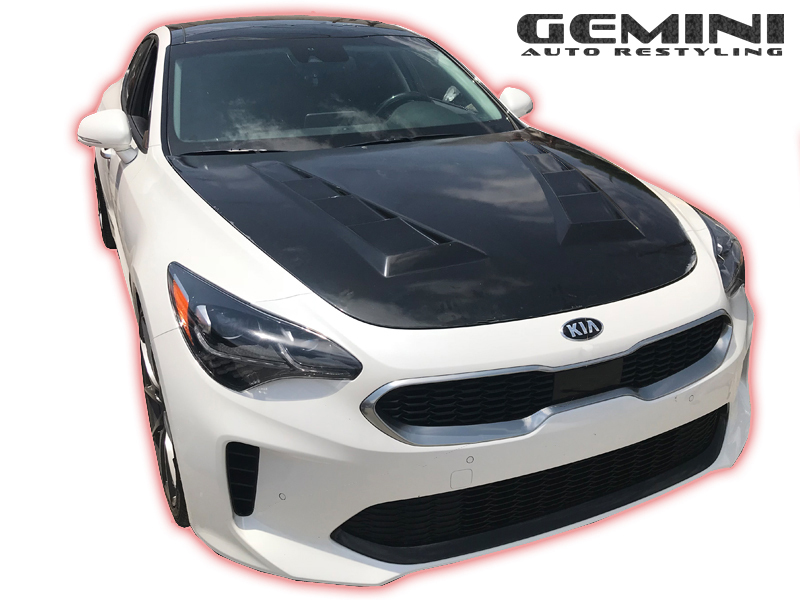 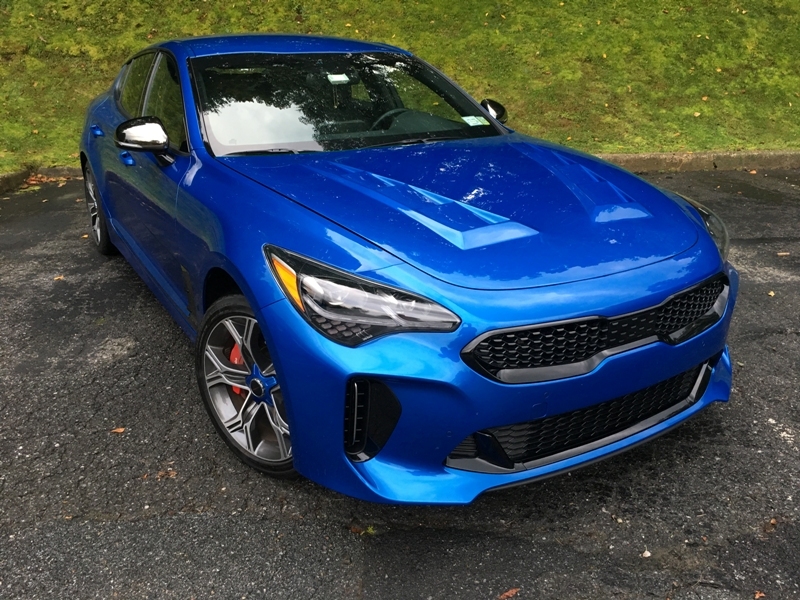 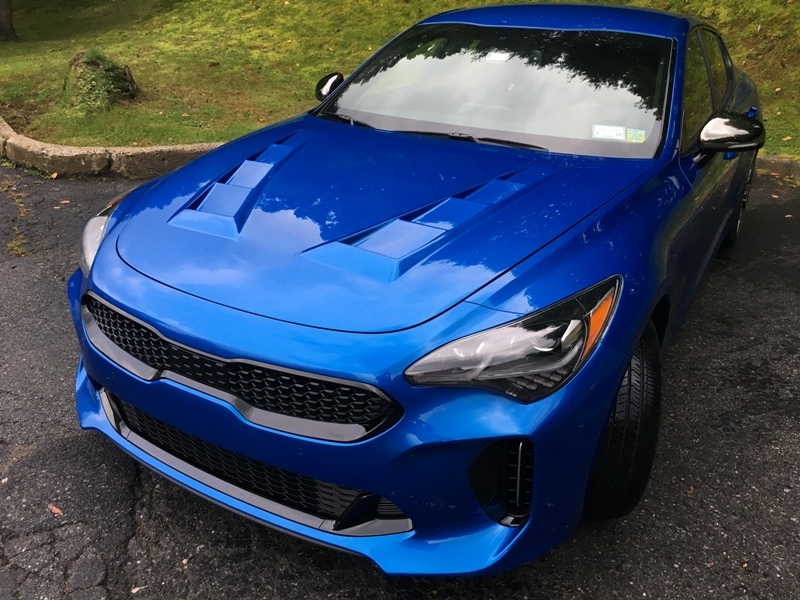 Gemini Auto Restyling's fiberglass-version vent hood for the Kia Stinger brings an exclusive feel and unique styling to the car. 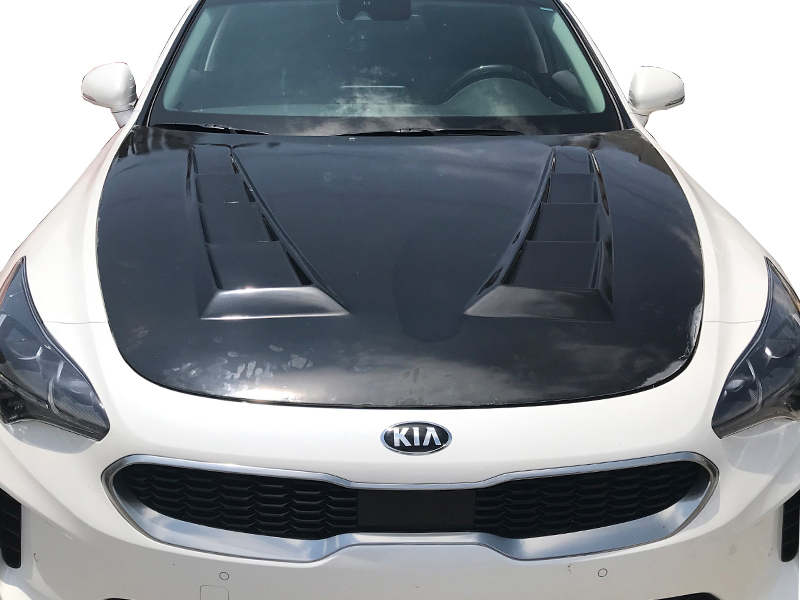 Made of high-quality smooth fiberglass material and is attached directly to the OEM mounting points. 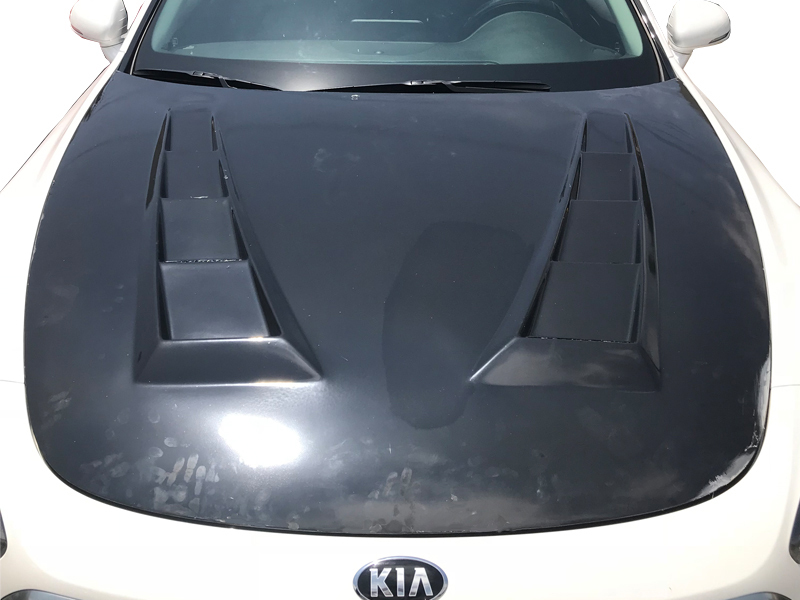 Simple bolt-up install with no modification necessary.